Learn how to understand and interpret information of financial markets and instruments. The National Certificate in Financial Markets and Instruments is registered on NQF level 6. It is quality assured and awarded by BANKSETA. Chartall Business College is a BANKSETA accredited provider for this national certificate, which is intended for financial advisors, planners or intermediaries. The RPL methodology is for people who already have the competencies to be assessed without attending formal training. The qualification is structured in such a way that it exposes learners to different kinds of investments with a view to enabling them to make an informed recommendation involving financial investments, funding requirements and economic interaction. The achievement of this qualification enables the learner to utilise specialised financial instruments such as futures, options and other derivatives for trading, funding and investments. Investments could be in an individual capacity or in the corporate environment. It will enable the learner to understand and apply risk measures in the market. 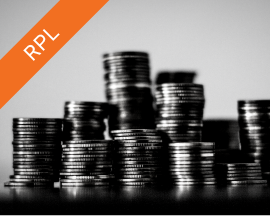 Only learners who have been working in a financial advisory role for over ten years should apply to complete the qualification through RPL. This is because there is no training and no training materials with the RPL option. You simply complete the assessment. 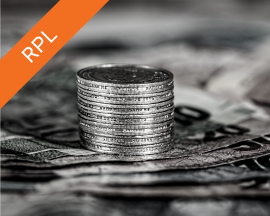 RPL learners should have been in a financial advisor role for at least ten years and been exposed to all aspects of investment products and the investment environment. This will provide you with sufficient workplace experience to complete the RPL successfully. Learners should also ideally be employed in a financial advisor role as this will make it easier for you to use real-life experiences in your assessments. However, many people who are not working have been able to successfully RPL the qualification by using the simulations and projects provided by Chartall. 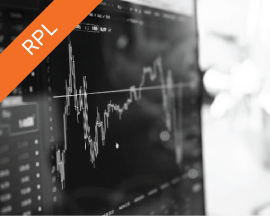 RPL learners must note that there is no training offered with the RPL enrolment option, as all assessments are completed using your existing learning as the basis for your assessments. The National Certificate in Financial Markets and Instruments (NQF 6) is accredited and certificated by BANKSETA. It is registered with the South African Qualifications Authority (SAQA) as a 120-credit qualification at NQF 6 (SAQA ID 50481 – see www.saqa.org.za). Chartall Business College is accredited by the BANKSETA to train and assess this qualification. The advantage of the portfolio as a mode of assessment is that it can be used after the learning to support the learner’s CV as it showcases what they can do practically (you will need to keep a copy of it for this purpose. Exemptions are governed by the BANKSETA’s policies. At this stage the only exemptions granted are for existing unit standards already achieved. This programme has been clustered into four skills programmes. Learners are expected to complete all fundamental and core unit standards and must select elective unit standards to the minimum value of 27 credits.